WHEN the going gets tough, the tough get going”, the old adage goes. Looking at Malaysia’s track record, it has come a long way since independence, having survived several economic downturns. In the late 1980s, when US interest rates shot up, leading to a collapse of the world commodity market, Malaysia’s overall export price index fell 30% from 1984 to 1986 and the country plunged into recession. After bouncing back from that, it was hit by the 1997/98 Asian financial crisis, with gross domestic product growth at -7.36% in 1998 (according to the World Bank). Subsequent economic slowdowns included the 2001 dotcom bubble burst (GDP: 0.5%), 2003 Gulf War and SARS epidemic (GDP: 5.79%) and the most recent global financial crisis in 2009 (GDP: -1.51%). Through it all, Malaysia has been able to recover faster than expected. During these turbulent times, how did the country’s property developers fare? We sought out property developers from across the country that have been in operation for more than 25 years and whose founders still play an active role. We also sought out developers that we don’t often read about in the news. 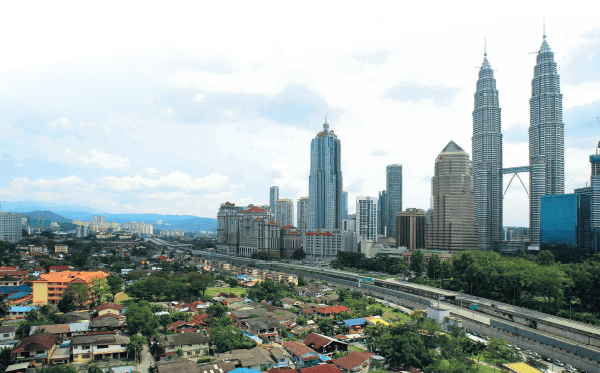 We managed to track down four developers, two from Sabah — Borneo Pacific (Holdings) Sdn Bhd and Grand Merdeka Development Sdn Bhd — and two in the Klang Valley, namely A&M Realty Bhd and Lion Group. Among the key lessons they learnt from surviving the economic downturns were to diversify their business interests and not to have high gearing. In Sabah, Borneo Pacific, founded by Datuk Seri Albert Chan, got its start in property development in the 1980s by building low-cost houses. Since then, the company has diversified into other businesses such as trading, palm oil plantation and hotels. It is now looking to possibly diversify into the renewable energy sector. Chan recently launched some high-end bungalows in Kota Kinabalu with views of the South China Sea. He relates how in the 1980s, the government was looking for private developers to build low-cost housing. After doing the maths, he decided to give it a go — and has not looked back since. Thanks to its diversified business interests, the company has managed to continue operating in challenging economic situations. Another Sabah developer, Grand Merdeka, was founded by James Voon Kyam Kiun and Chew Sang Hai in 1967. Together with their other partners, they started their property development journey when they took over a project that a friend had decided not to continue with. They then developed Wisma Harbour View, a multi-storey complex with shops, carpark and offices, that was the first of its kind in Sabah. Today, the company is building the RM1 billion Grand Merdeka Mall in Kota Kinabalu’s Bandar Sierra, which is about 24km from the international airport. Grand Merdeka’s key to surviving the economic downturns was its sound financial management and low gearing. In the peninsula, we have A&M Realty. Founded by Datuk Ng Thian Hock in 1978, its first project featured 100 affordable houses and a few shoplots in Klang. Ng, who hails from the royal town, decided to focus on affordable housing, which he saw was in low supply in his hometown. Ng’s philosophy to development has always been to choose good locations, build products that cater for the population in the area, and ensure a quality product is delivered. Detailed feasibility studies and the company’s low gearing are the other factors that have helped Ng weather stormy economic conditions. Today, he is busy planning the launch of new projects on Carey Island as well as promoting and establishing his new product brand, Amverton. For Lion Group founder and chairman Tan Sri William Cheng, diversification was the strategy to survive the tough times. Before he started out in property development, Cheng helped his late father Cheng Chwee Huat @ Cheng Choy Huat in the latter’s steel trading and manufacturing business. He saw an opportunity to branch out into property development and eventually developed a condominium project in Penang called Horizon Towers. This was followed by a 92-acre housing scheme in Selayang called Taman Intan Baiduri. To date, the group has built 15 townships in Malaysia as well as mall projects in China, Singapore and Cambodia. Cheng says the main reason for the group’s survival was its diversified business operations. When one sector was doing badly, another would be doing well and that helped the group keep moving forward. The group is involved in numerous business operations, including retail, mining, steel, agriculture and computer-related manufacturing. While each developer has a story about the anxious moments they faced during an economic downturn, not one saw giving up as an option. Through sound financial management and a hands-on approach, they overcame adversity to build homes for their fellow Malaysians. For Rahim & Co International Property Consultants group executive chairman Tan Sri Abdul Rahim Abdul Rahman, a similar strategy of lowering salaries was implemented during the 1980s recession. However, “not one staff was retrenched and not one branch was closed. Office operational expenses were reduced, including a reduction in salary of up to 25% for directors and senior staff with a promise to reverse the cutback after the recession. All staff got back their original salaries within 18 months with increments,” he says. During the Asian financial crisis, there was no reduction in salaries and no retrenchments but other cost-cutting measures were taken, such as stationery expenses, entertainment claims and outstation allowances, Abdul Rahim reveals. He says prudent financial management after the 1986 recession helped to cushion the effect of the 1998 recession. Surviving economic downturns is never easy, but with courage and perseverance, success can be forged in the toughest of times. Read more about the developers’ experiences on pages 7 to 10, and the property experts views for 2015 on page 15.